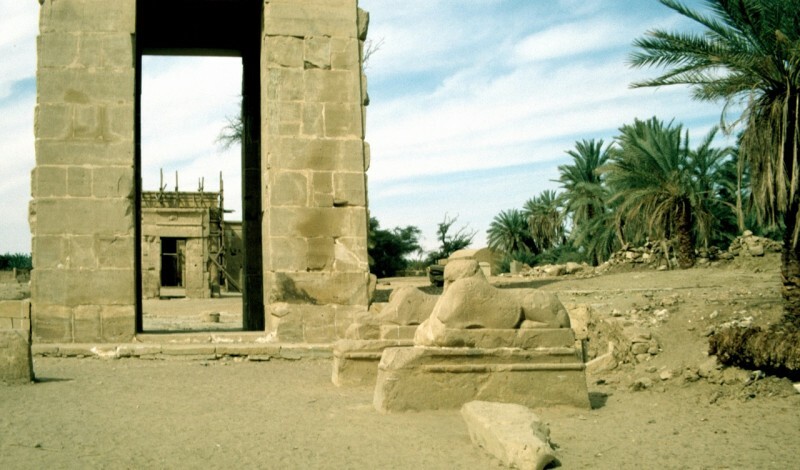 Kharga is the largest of the Oases, the administrative centre of the New Valley Governorate. 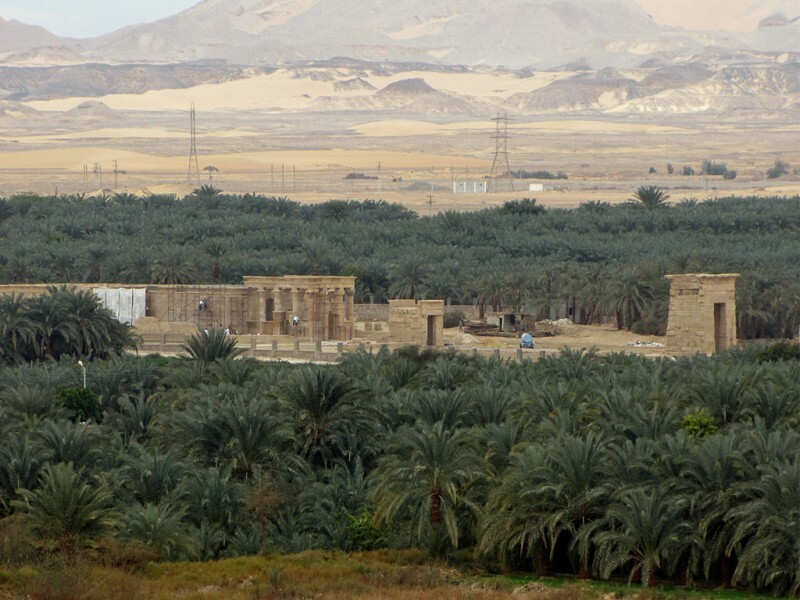 It is also the nearest to the Nile Valley, being only two hours from Luxor. It has a large population of over 70,000 people and plenty of new buildings in the centre. 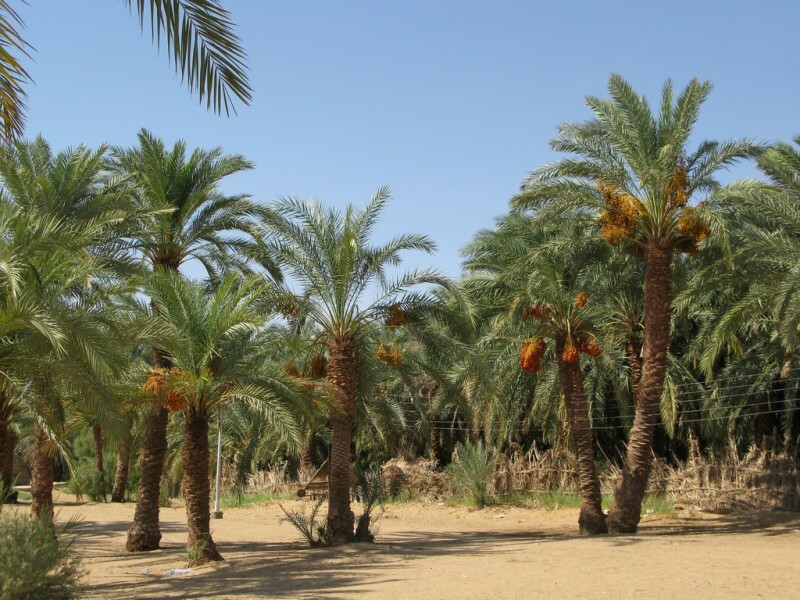 As you arrive the tang of dates assaults your nose and the sight of row upon row of date palms. 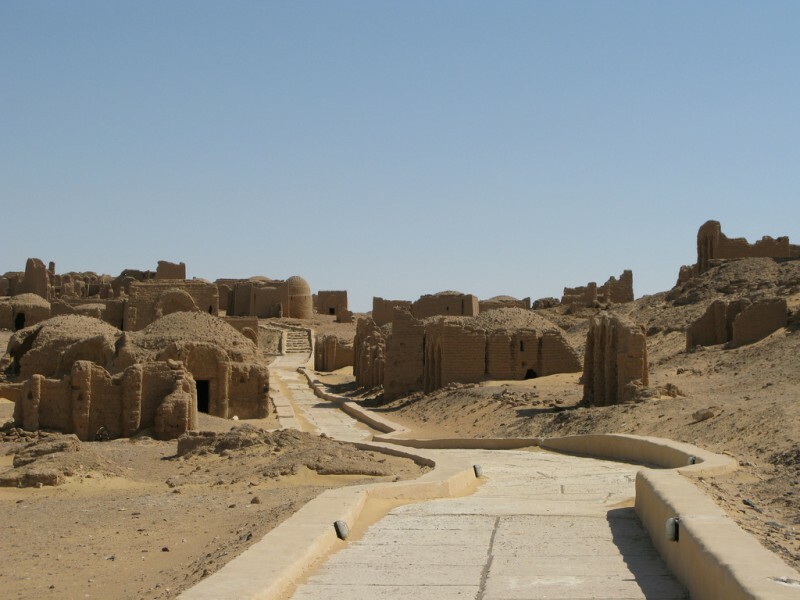 Though busy and modern, in parts, Kharga still retains the romance of the desert. Pottery is one of the crafts celebrated in Kharga. In the main town of Qasr there are numerous shops selling ceramic products as well as a pottery factory you can take a tour round. You can also get some good bargains at Kharga’s lively bazaar or souk which is located in the southern part of Qasr town in the buzzing Midan Showla. 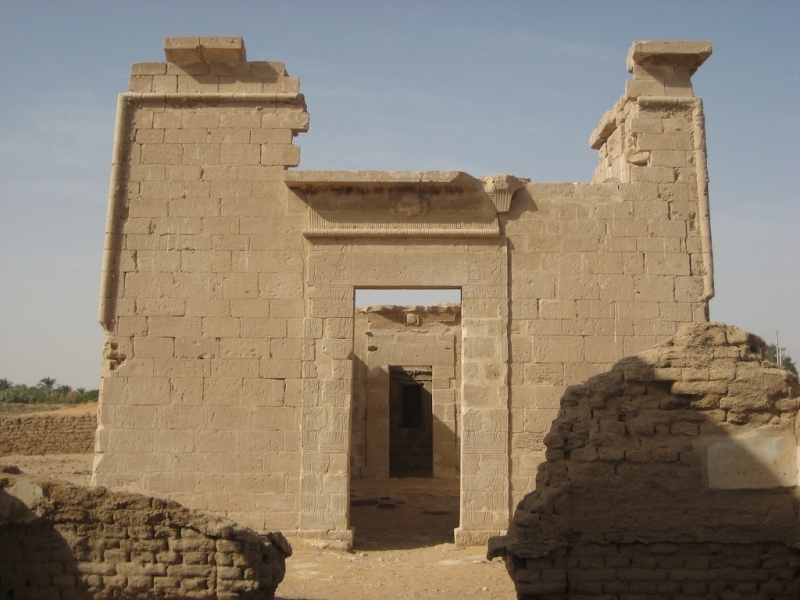 In Roman times Kharga was apowerful centre of activity. There are many remains along with those of more ancient times. Since the camel’s introduction around 500BC, Kharga has been the final post on the Forty Days Road from Sudan- along which all the trade of East Africa used to come. Even today great caravans of camels come along this route- but they are mainly destined to be eaten once they have arrived at Cairo. Here are the domed roofs of one of the best preserved Christian cemeteries in the world. There are 263 ornate tombs and many chapels. The roof paintings are of particular interest. Ask to see the painting that depicts the zodiac surrounding portraits of Mary and Jesus. This very same design appears in pre-Christian Ptolemaic Egyptian art in the Temple of Dendera but sadly the original was removed to the Louvre in 1820. But one can trace the line that connects the two utterly different religions. 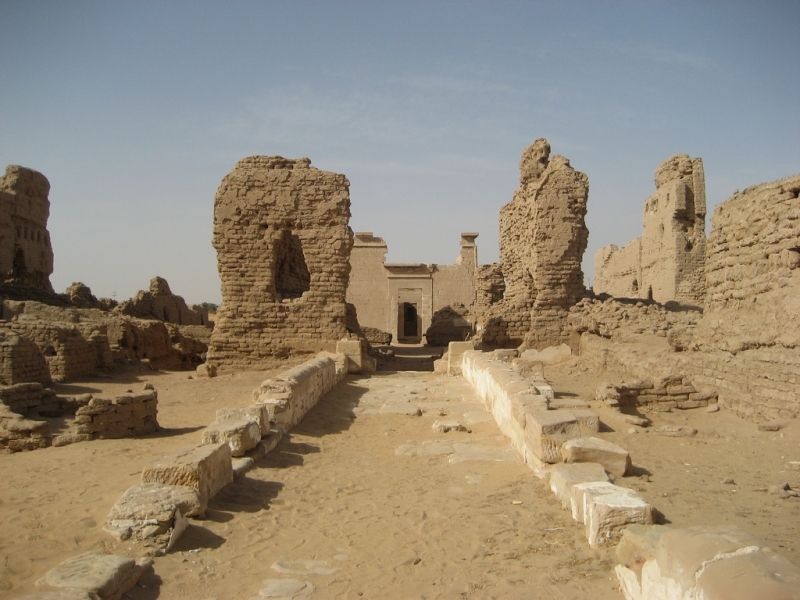 Ain Um Dabadib, located some 40km north of the main town of Qasr Kharga, is an amazing fortress that has been occupied since before Roman times. An incredible place that sits below the escarpment but 220metres above the desert floor it commands great vistas. All around are scattered and broken pots that date all the way back through Islamic times to Christian to Roman and before. 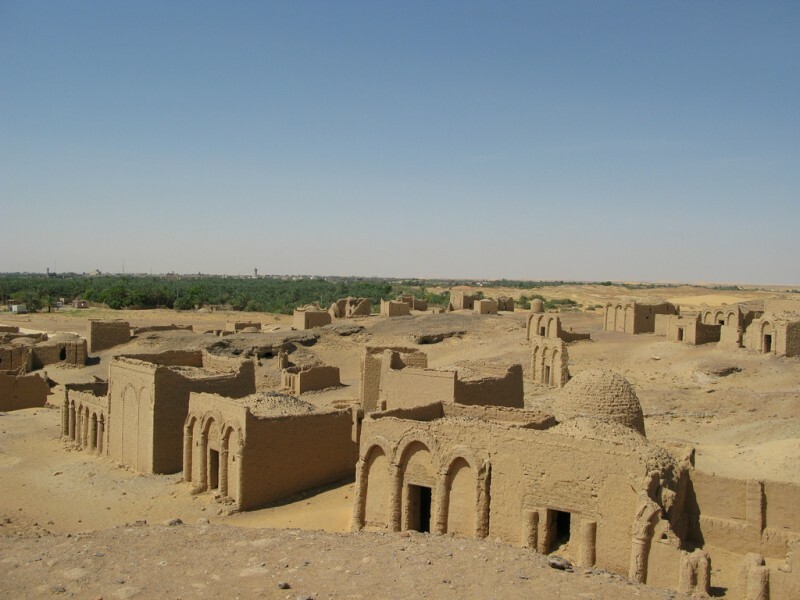 It is widely believed that Baris in Kharga is named after Paris in France. Perhaps this is an example of the great sense of humour Egyptians display. The world famous architect Hassan Fathi designed an ecologically sound village to replace old Baris, hence New Baris. Unfortunately the locals did not take to being moved and New Baris is now deserted, an interesting example of great architecture that somehow misses the mark.